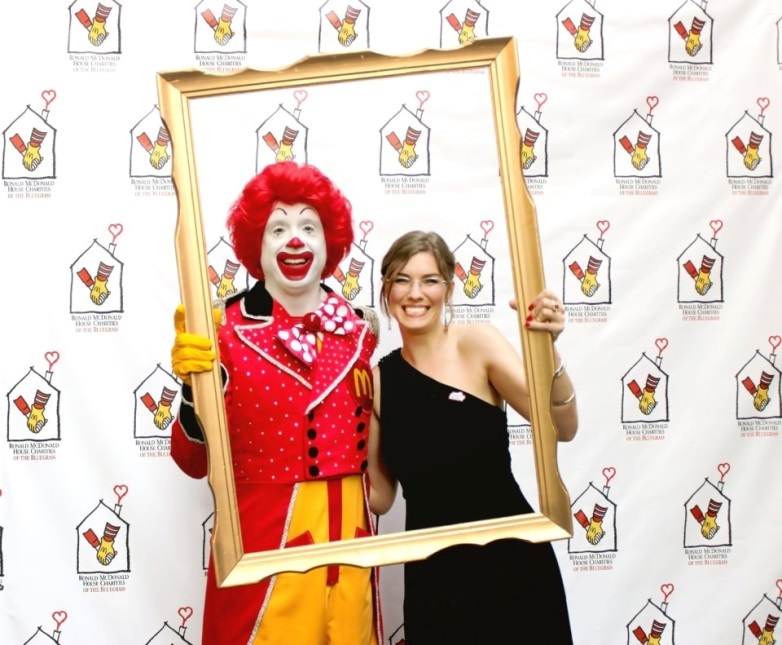 I first got involved with the Ronald McDonald House Charities of the Bluegrass as a graduate student at the University of Kentucky. I spent two semesters as a grant writing intern. Through my internship, I had the opportunity to learn – and write – about everything RMHC does to strengthen families experiencing the illness of a child, including the Family Room at the UK Children’s Hospital. Now, three years later, I haven’t strayed too far from that internship. As Interim Development Manager at Community Action Council, a local nonprofit that serves people with low-income, I work as a fundraiser and grant writer. As I transitioned from an ever-changing student schedule to my current nine-to-five, I needed a volunteer position that I could fit in after work. I immediately thought of the Family Room. I’ve been volunteering in the Family Room every week for about a year and a half now, and it is a constantly fulfilling experience. Because some families are in the hospital for months at a time, the Room develops a feeling of community. It’s amazing to watch new parents of a preemie over the course of several weeks grow braver, stronger, and supportive of the newer parents who have just arrived at the hospital. After a while, I find myself looking for certain faces week after week. I look forward to taking over the floor with utterly chaotic games of Go Fish and I Spy with our smallest guests, and as much as I miss them when they leave, I love celebrating with their families when they receive good news and finally get to go home. I have realized that as a volunteer in the Family Room, I will always receive more from those families than I can ever hope to give back, and that’s worth every minute of a three-hour shift.